Insurance covers your home, vehicles and business in the event something happens that causes damage or creates a liability claim you need to address. When this happens, you notify your insurance company, which contacts an attorney to represent you. Wagner Stuart, PLLC’s formation and much of its history is grounded in providing the insurance companies’ policyholders with a defense when a liability claim is made. Many companies have asked us to provide a defense to their insureds. Working with investigators, insurance adjusters, claim managers and underwriters has provided a depth of insight covering how the process works and how particular matters can be handled in a more cost effective manner. Insurance defense encompasses many aspects of coverage, from uninsured motorist coverage, bad faith issues, coverage issues, reservation of rights issues and much more. Wagner Stuart, PLLC can help sort out the various issues and provide the insurance companies’ insureds with the representations they deserve. Wagner Stuart protects the interests of insurance companies and their policyholders. 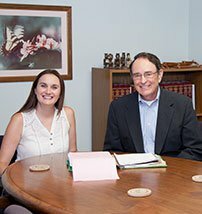 If a claim is threatening your company or insured, set up an appointment with attorney John Stuart. He will work with you to provide strategies aimed on achieving the best possible outcome.